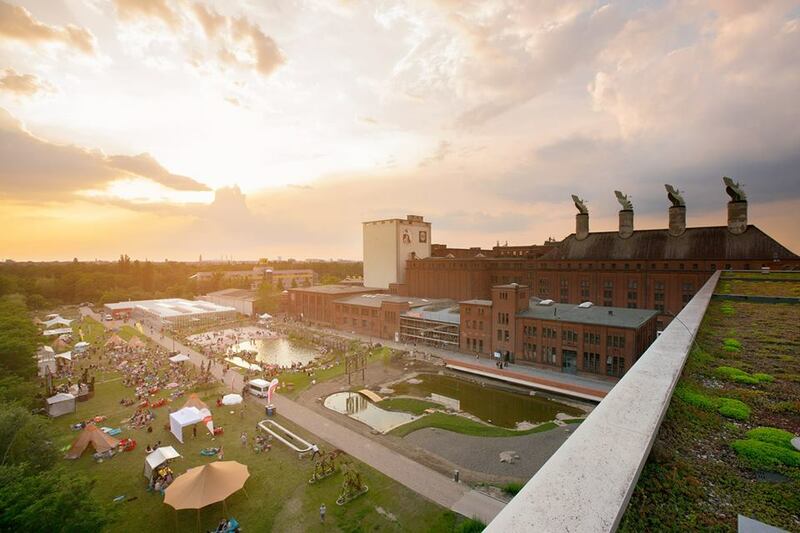 For the first time Malzwiese is inviting you to TWO DAYS of festival spectacle at MALZFABRIK. Discover in 48 hours our universe full of music, fun, shenanigans, workshops, dance, theatre, indulgence, lectures, tastings, round tours, play meadow for kids, exhibitions, arts and crafts, history, beach, nature, sunshine and much, much more – and all of that environmentally friendly and green! Get ready for 2 DAYS OF FESTIVAL PROGRAM of the finest sort! Be assured that great artists are waiting for you with genres between singer-songwriter, pop, indie, electro from today and tomorrow, ready to make sound part of a memorable weekend. 50.000 sqm will be filled with sounds, details, temptations and more. Zirkus Kadarka I Siegfried & Joy I Mauerpark Karaoke I Berlin Spray Battle I Zwergstadt I Wasserspielmobil I Artnight I Fvckup Nights I Oh Yeah e.V. I Malzreise | Fusi bei Susi (Germany vs. Austria) | Alba Parcours I DaWanda DIY-Area | Speakers Corner with Andreas Sudmann I ‘Bühne für Denkzeit’ with philosopher Christian Uhle I mobile Dunkelkammer I Die lustigen Glückshasen and much more! The magic word is Bite Club, our festival partner which will get all the food trucks together and declare the food area to be a palate tickler. From the self made summer dress to up-cycled vintage furniture to charitable project – everything and more is here. Each vendor is hand picked and will make you happy with his offers. The festival is a non-profit event. We don’t want to make profit with it, but offer you guys an amazing weekend. Each Euro will go to many different causes and organisations and 1 Euro of your entrance fee will be donated to a special heartfelt project like every year. IT’S GOING TO BE GREAT! Get ready for the beginning of an absolutely amazing festival summer 2018!